sailboat. : Instagram Snapshot 002. The second is 'brick uni' made me haha out loud! What are you studying if you don't mind me asking? I am having a lovely lazy day baking today, and went for a stroll round Brighton yesterday, not the most thrilling weekend but the best kind! aw, bless little ralphie in his harness! and that other rabbit's really unusual, love the colour of his coat. you looks beautiful in these pictures, by the way, love the colour of your lipstick in eleven. would really like to see a couple of reviews! Im glad ralphie likes the harness!!! :)! and i'd be interested in reading more beauty product reviews etc, really enjoyed your mua pallette post. Lovely post :) Go for the iPhone! You pretty much need it haha. And that hoover is adorable! Never seen those before! Ralphie just gets more handsome everyday! He is such a cutie! I would love to give him a snuggle! 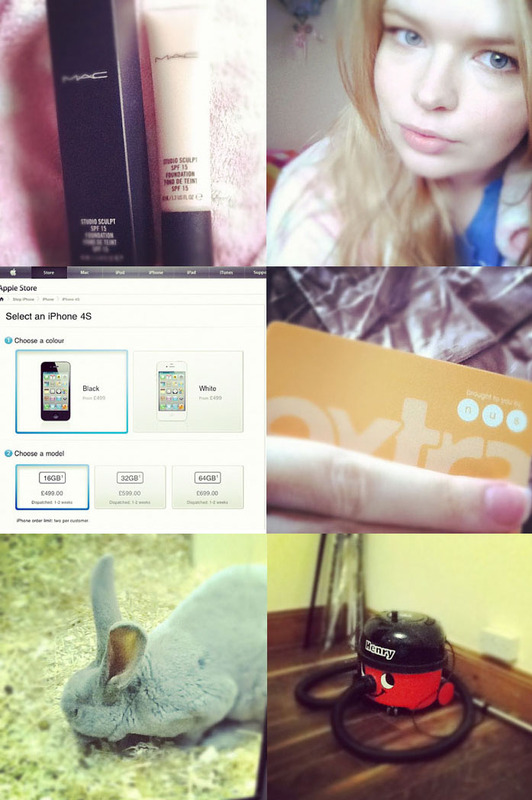 Your instagram roundups are my favorite post of yours ever! That gray rabbit (& Ralphie, of course!) is just too darn adorable. 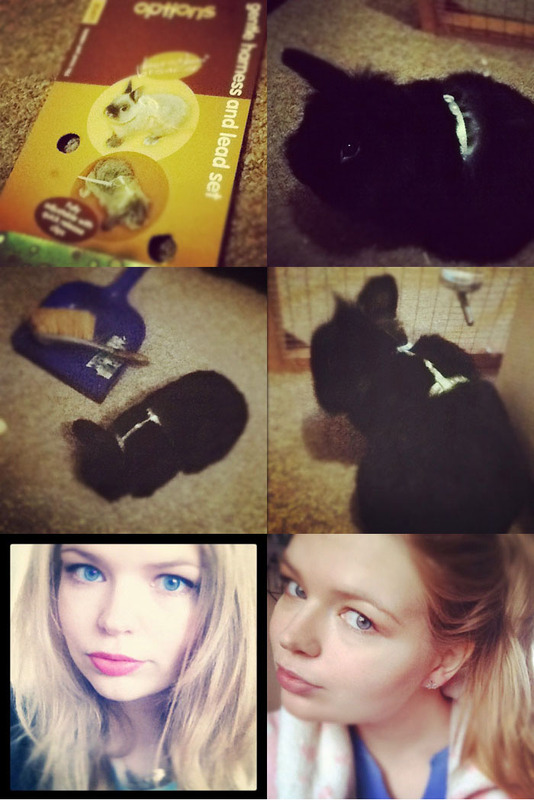 I bought my bunnies matching leads but they are too small for them :( Have you seen the bunny christmas collection- I must of spent £25 on Bambi & Pumpkin for christmas ahhaa. What are we like? Aww! I didn't know you could get rabbit harnesses! too cute! You should totally take Ralphie out! I used to live right next to a park, and we often used to see a girl with a rabbit in a little harness on a lead. He seemed to enjoy hopping about and nibbling the grass. Instagram is definitely my top iPhone app, I love all your pictures!! !